Run ninja, run! 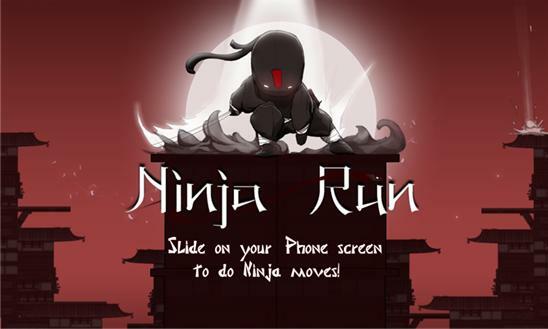 Download amazing 'Ultimate Ninja Run Game' for free and save the people of Ancient Japan! One ninja is ready to confront the evil shogun and his daimyos that are spreading fear and darkness all over the country. Can you help him fight against ninja assassins and end their bloodthirsty reign? Get this jumping game for kids and adults and help the last ninja warrior save all the people of Ancient Japan! - Story of the Ninja – A long time ago, in the province of Iga, there was a peasant boy who dreamed of becoming a shinobi. After losing his parents in a plague, an old ninja master from an Iga clan found him and taught him everything he knew. The little boy became the ultimate ninja warrior, and now his mission is to free the people from an evil shogun! To save the people of Japan, you must find and defeat all evil daimyos that have been stealing from peasants and torturing them for years. After defeating each one of them, he must collect coins and give them back to the poor. Escape from the village as fast as you can to earn bonus coins for the hungry peasants! - Use jumps to escape the town faster (single jump, double jump and power jump)! - Use power dash to get an instant speedup and destroy all the obstacles in front of you! - Collect power-ups that allow you to run faster and smash all the obstacles on your way! 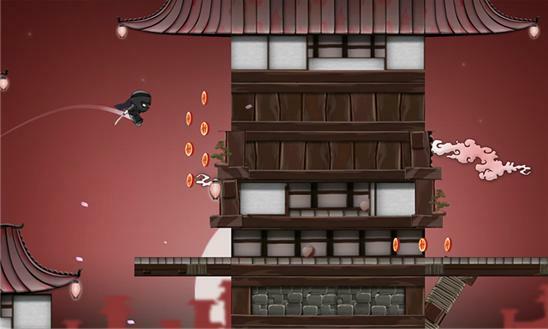 - 4 types of shinobi enemies – use your ninja sword or jump on them to destroy them - find the way to defeat each one of them! - Defeat as many enemies in a row to get combos!